If you installed Gnome Classic desktop in Ubuntu 12.04 or 12.10, you may have already found that the Alt-Tab windows switching not working any more. So this simple and brief tutorial will show you how to enable Alt-Tab windows switching behavior in Gnome Classic. 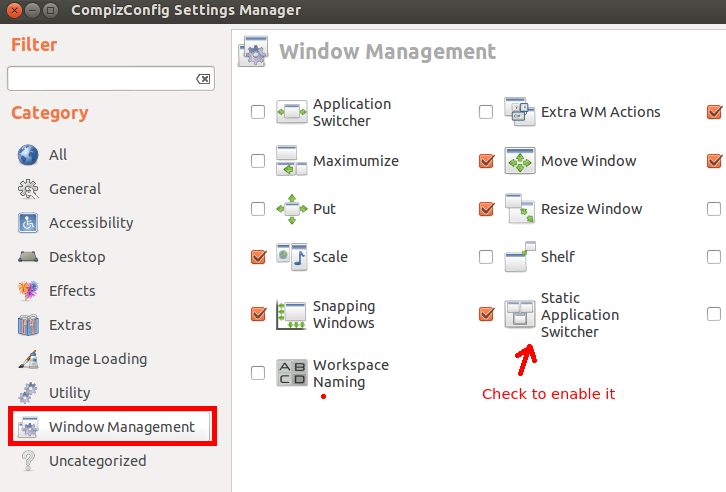 First go to Applications -> Ubuntu Software Center, search for and install the CompizConfig Settings Manager. Then launch it under Applications -> System Tools -> Preferences. In the left of CCSM, click on Window Management, then check the checkbox of Static Application Switcher at right. 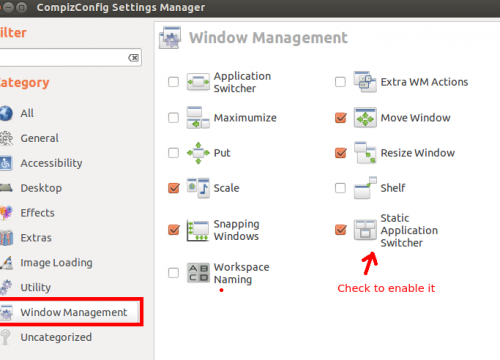 No user responded in " Alt-Tab Windows Switching in Ubuntu 12.04/12.10 Gnome Classic "